If you want to maintain the engine of your car, you should definitely look under the hood regularly to check the various components, one of which is the timing belt. This component is one of the most important ones that help your engine perform well and therefore, timely timing belt replacement is necessary. A timing belt synchronizes the crank and camshafts of your engine. If these two components do not work in synchronization, your car would not be able to move an inch further. Moreover, the engine could suffer serious damage if these two components do not work perfectly. The timing belt is far different from those that run the generator, air conditioning, power steering or any other component. This belt, while making the crank and cam shafts work together, is also responsible for opening and closing the valves. In some cars, the timing belt is responsible for driving the oil pump and the water pump. Therefore, it is important to maintain the timing belt and in perfect condition. Whenever you start the engine of your car, the timing belt starts functioning. This causes considerable wear and tear, which can cause the belt to break. Cars that come with an interference engine require you to pay extra attention to the timing belt as the engines of these cars have extremely close tolerances. However, you require regular timing belt replacement irrespective of the type of engines. A broken timing belt would not only leave you stranded but would also cause severe damage to the engine, which will ultimately cost you thousands of dollars. If the timing belt breaks while you are driving your car, the pistons and valves would crash into each other. Timing belts come with a specific interval for replacement. Timing belts need changing after you have driven the care for a certain number of miles. While the number of miles depends on the type of car, 70,000 miles is the standard threshold for timing belt replacement. 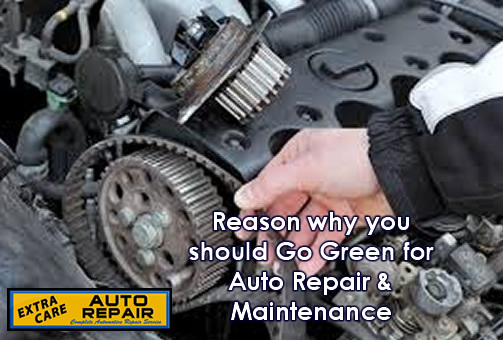 It is better to change other components, like the water pump and oil, while replacing the timing belt as it would not only enhance the engine’s performance but would also allow you to save a significant amount of money.